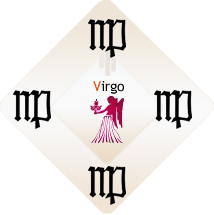 Virgo is a mentally oriented, highly intelligent, nervous sign that needs to remember it’s made of the element earth, not air. That’s another way of saying that your life is a constant process of translating from idea to reality and back. Ideas are not enough. Yours is not the sign of science but applied science. The difference is similar to that between working in theoretical physics and learning how to be a master baker, or using your skill in chemistry to be an expert hair colorist. Applying ideas can be challenging because the mental world changes so much faster than the often-stuck dynamics of the physical world, and we’re often at a loss for how to translate between the two. That would be your job: to identify ideas and how to apply them; to match up problems with corresponding solutions.